What is BNF Healthy Eating Week? The purpose of BNF Healthy Eating Week is to encourage all UK workplaces, universities, schools and nurseries to come together to focus on healthy eating and drinking, and physical activity, and celebrate healthy living. This document summarises the benefits of promoting health in the workplace. Workers, univeristy students and children all over the UK will be taking on these challenges during BNF Healthy Eating Week. 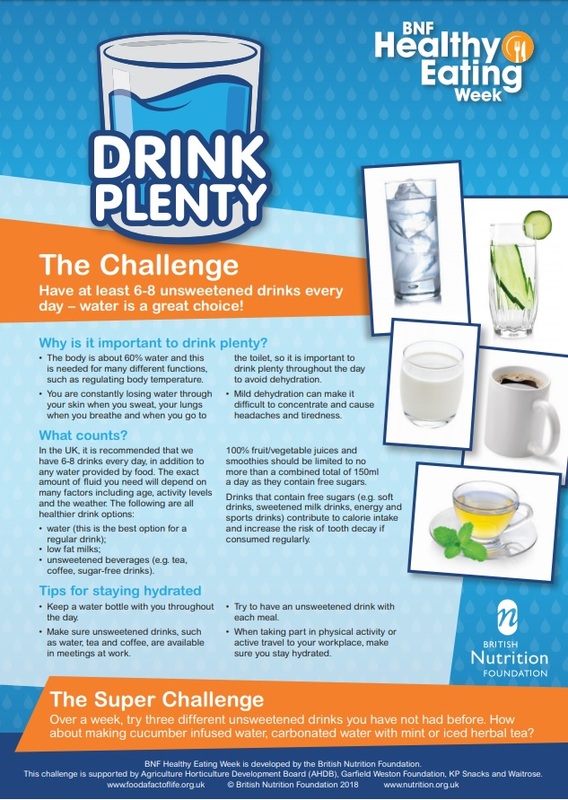 GTDT has a number of new Health & Wellbeing courses starting over the next week and one of our homework activities is going to be the 'drink plenty' challenge. Can you rise to the challenge? If you have a go, let us know how you get on.